Dr. Gary Wiren is a sought after national and international speaker. Gary has entertained and enlightened thousands at PGA, corporate, and club events across the globe. Gary brings a unique blend of entertainment and historical knowledge to every performance. His considerable experience in the golf world as well as the athletic, educational, business, and motivational scene gives him a unique combination of skills to reach any audience. With his extensive background in teaching, speaking, writing and playing, Wiren is the ideal person to help a corporation in entertaining and impressing guests with his style of humor, motivation and education. He offers presentations at business meetings, banquets, golf clinics, shows, and at small V.I.P. gatherings. Dr. Gary Wiren can come to your club for a dinner event and entertain the members with unique stories and pictures. A Power Point presentation will feature seldom seen historical pictures as well as humorous contemporary images that will have the gathering laughing out loud. There is audience participation both to start and to cap off a wonderful evening. For a most upscale personal golf experience, you and two or three players can golf with Gary Wiren and get a firsthand teaching and playing experience. Your golf game will improve rapidly with instant constructive feedback. Gary’s relaxing style of teaching keeps the game and the learning fun and stress-free. Then for a bonus take home an award winning DVD and “Golf Book of the Year“. If you would like a more intimate evening presentation for around 20-30 people you might consider a “fireside chat.” This program covers America’s golfing presidents, the good, the bad and the ugly; but in all cases interesting. It is interactive with the audience stepping in when they like. The “Chat” also includes a closing Q & A covering any element of the game of golf that the member wishes to address. 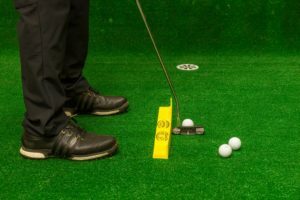 Save 10% off all products at GolfTrainingAids.com! Redeem this offer by purchasing through a product link below or entering the code WIREN at checkout. Although the amount of the arc visible for the T3 is minimal it follows exactly the same arc as the deluxe and MSIII models but since it is shorter the arc is very small. Measuring 20″, the T3 should accommodate most meaningful putting practice. As with the MSIII, the T3 includes tee holes to stake the product into the green. 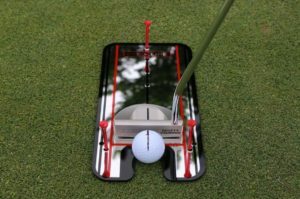 The Putting Alignment Mirror is very portable so will store in your bag when not in use. We recommend working with this mirror a few minutes before every round. 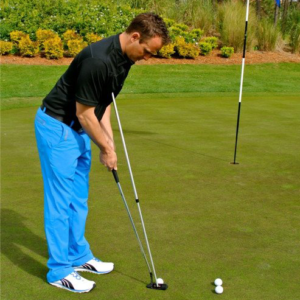 Poor alignment is the major cause of missed putts. Using the Alignment Mirror will create confidence on the green. It measures 12″ x 6″ and comes with a black carry bag. The Pendulum Putting Rod helps you stay in perfect posture throughout the stroke and if you lift your head, the rod will fall from your chest. It gives you a consistent way to check your putter shaft angle at address, which creates consistent putter loft and distance control. …Dr. 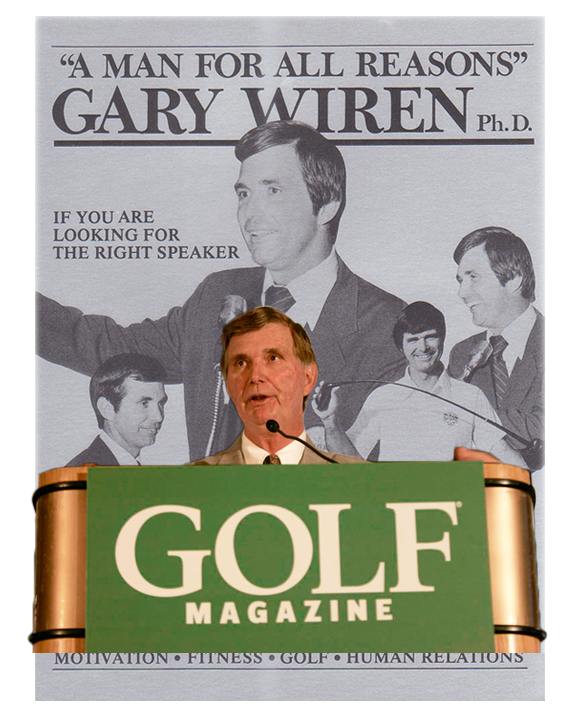 Gary Wiren has spent a lifetime pursuing, and teaching, excellence both on the golf course and in life…Golfers and their coaches stand to improve their game by heeding the teaching of Gary Wiren. – Mr. Harvey Newton, owner/director of Newton Sports, a sports research and consulting company. Former USA Olympic Team coach for weightlifting. …With his energy, innovation, creation, implementation and a very focused personality, Gary has been (and continues to be) a fine model and representative for the game of golf. – Dr. Paul Schempp, Director of the Sport Instruction Research Laboratory and Professor of Kinesiology at the University of Georgia.